Lemax Christmas Market Candy Seller Table Accent depicts a jolly candyman selling Christmas sweets and goodies from a railway engine themed sweet stand. Lemax Christmas Market Candy Seller table accent is suitable for placement in and amongst a seasonal Lemax village miniatures scene. A popular Lemax Caddington Village Christmas themed collectable piece which joined the Lemax collection in 2013. 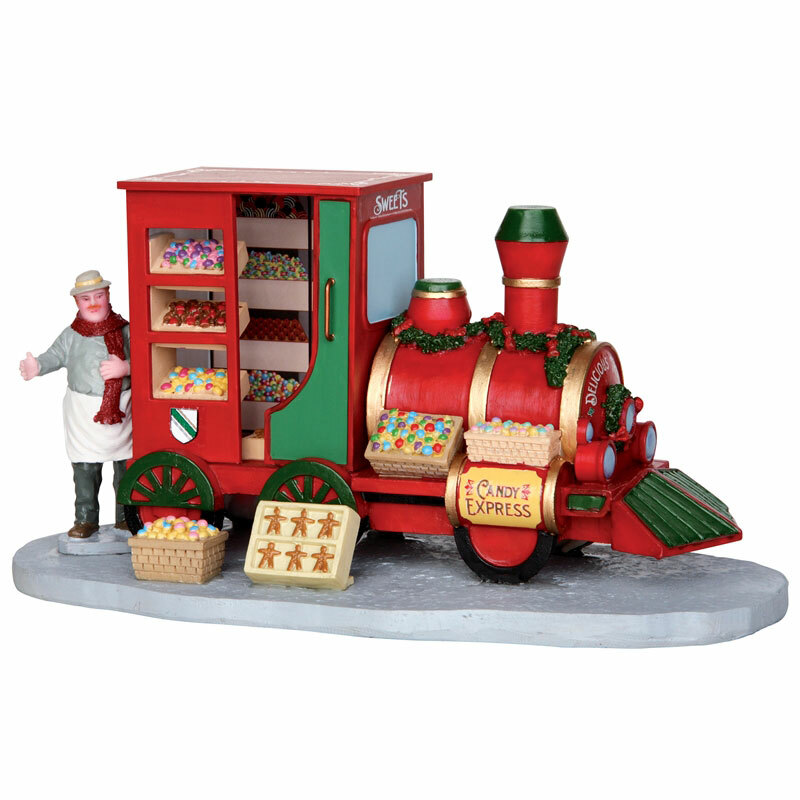 Christmas Market Candy Seller offers a delightful individual hand painted polyresin piece which includes a single figurine on a street base to compliment your seasonal Lemax Christmas Village.